The solution is clever, giving easy access to data from across the business, anywhere in the world, to deliver new real-time insights. The big win of course is giving decision makers access to real time reporting and analytics so they can make decisions founded on fact rather than gut-feel and best guess. While it is clear that the ease of data connectivity stands InPhase apart, it also does so cost effectively. In many cases InPhase moves the ability to create the data connectivity out of the hands of scarce specialist IT staff, into the hands of business users. Unsurprisingly the reporting is comprehensive with push reports such as automatic creation of Board Reports through to dynamic self-service pickers, slicers and sliders so that managers can get what they want, when they want it, in a highly visual presentation. InPhase is what we call today an intelligent solution - it is not just a reporting tool - it adds value. Simply the most inspired benefit that makes InPhase stand apart is the built-in functionality that enables users to chat real-time about the analytics, and initiate new operational, tactical and strategic activity to change the organisation's future performance directly within the software. The actions, metrics, projects, risks and governance or compliance assessments dynamically update the business plan at all levels, delivering a real-time 'Plan-Do-Check-Act' loop of best practice business management. Ultimately, InPhase enables managers to get both the classic BI benefit of gaining insights into what is going on anywhere in the business right now, to see how this aligns to their plans, and the likely outcome trends if nothing changes, real-time. The firm has a number of exciting plans to help encourage growth and better support clients moving forward. This month InPhase launch an open data web service where customers can present their complex performance and compliance information in an easily digestible way for the public. 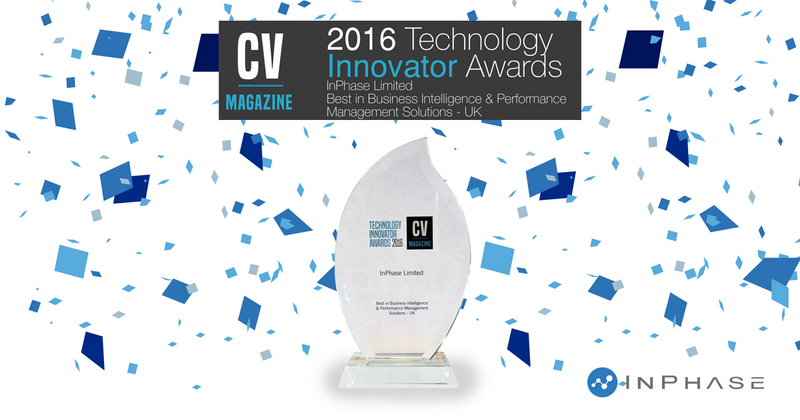 "Thank you Technology Innovator Awards for recognising InPhase as the UK's most innovative BI and Performance Management solution. These awards inspire us to continue to innovate and push boundaries, helping our customers achieve better outcomes. The team at InPhase are excited with the recognition that InPhase empowers business managers like no other application in its market space" enthused Robert Hobbs, CEO.